“These colonial merchants lived well, with a spacious brick mansion in Boston and a country seat at Milton Hill, Cambridge, or as far afield as Harvard and Hopkinton, where great house parties were given. They were fond of feasts and pageants”. Calvin Ellis Stowe was born on April 6, 1802 in Natick, Massachusetts. His father died when he was 6; at 12, he apprenticed as a paper maker. But his passion was books. Stowe graduated from Bowdoin College in Brunswick, Maine, with highest honors; he then entered Andover Theological Seminary in 1825. He completed his theological studies with the Andover Class of 1829. Stowe taught Greek at Dartmouth College and Biblical Literature at Lane Theological Seminary in Cincinnati. At Lane, Stowe met Harriet Elizabeth Beecher, daughter of the school’s renowned president, Lyman Beecher. Beecher was born on June 14, 1811 in Litchfield, Connecticut; her mother died when she was 5. She enrolled in the seminary run by her sister Catharine. At the age of 21, she moved to Cincinnati, Ohio to join her father at the Lane Theological Seminary. At Lane, Stowe married Beecher. Harriet’s brother was Henry Ward Beecher, one of the era’s most celebrated clergyman and preachers. Her sister was the writer and reformer Catharine Beecher, a prominent champion for improved education for women and girls. Convinced of his wife’s own talents, Calvin told Harriet she “must be a literary woman.” He remained one of her greatest supporters. Starting June 5, 1851, she published installments of a story in the anti-slavery newspaper The National Era; she called it Uncle Tom’s Cabin; it originally had a subtitle “The Man That Was A Thing”, but it was soon changed to “Life Among the Lowly”. Her writing of Uncle Tom’s Cabin was precipitated by two events: in 1849 her sixth child, Samuel Charles, died in a cholera epidemic in Cincinnati; then, the year following Charley’s death Congress passed the Fugitive Slave Law. The law required citizens to assist the sheriff in catching runaway slaves, stipulating fines and imprisonment for those who refused – it brought slavery home to the doorsteps of northerners. While the book is focused on the slavery issue on the continent, she includes some reminders of her past, as well as passages on the Islands. As noted, her family, birth and betrothed, come religious education backgrounds; she went to a seminary. Recall that her husband graduated from Andover Theological Seminary. Calvin Stowe returned to Andover Theological Seminary in 1852 as professor of sacred literature. Harriet’s book exposed the brutal reality of slavery in the American South; but it did not leave many of those in the North off the hook. Some suggest the spelling was the way Captain James Cook spelled the Island chain he “discovered” in 1778, and the name of the island where he eventually died. When Captain Cook first visited the Hawaiian Islands, Hawaiian was a spoken language but not a written language. Historical accounts were passed down orally, through chants and songs. After western contact and attempts to write about Hawaiʻi, early writers tried to spell words based on the sound of the words they heard. People heard words differently, so it was not uncommon for words to be spelled differently, depending on what the writer heard. So the origin of the specific spelling of this place(s) is not clear. The discussion of this place relates to a river on the continent (and some places it passes that are similarly named.) There are many stories about other “Owyhee” continental place names; those are subjects of future stories – this one is about the Owyhee River. The word Owyhee is the older spelling of Hawaiʻi. The Owyhee River (a 280-mile tributary of the Snake River) has its source in northern Elko County, Nevada, flowing northward into southwestern Idaho through Owyhee County, and continuing into extreme southeastern Oregon in southern Malheur County. So how did Hawaiʻi (Owyhee) make it to the Oregon Territory? And, why did a river receive that name? To get there, we need to go back a bit … to 1811. Thick, luxurious and water-repellent furs of sea mammals (from beavers, sea otters and fur seals) were highly valued in China as well as in Europe, where they were sewn into coats, hats and bed covers. Furs were mostly traded in China in exchange for tea, silks, porcelain and other Chinese goods, which were then sold in Europe and the US. Trading ships plying between the Northwest, China and Europe would stop in Hawaiʻi to replenish their stores. Hawaiians had worked on many of the merchant ships. Most served as seamen or contract workers; others manned their outposts and built structures or farmed food for the ships’ crews and others. As the fur trade expanded, nearly every post had had a contingent of Kanakas, who were noted for their reliability, cheerful dispositions and hard work. This leads us to Donald Mackenzie, a brigade leader for the Canadian North West Company, who led yearlong trapping expeditions on the Snake and Columbia Rivers in the Oregon Territory. About one-third of Mackenzie’s men on his 1818-1820 Snake River expedition were Kanakas. Mackenzie and his party wintered among the Snake Indians in 1819-1820. The Owyhee begins at its headwaters in Nevada, flows through Idaho, and crosses into southeastern Oregon, where it eventually flows into the Snake River. From the Oregon/Idaho border to the Owyhee Reservoir (formed by the Owyhee Dam), the river flows through deeply incised canyons in a remote, arid and almost unpopulated area. Other places near or on the river received the same “Owyhee” name. The first known recreation use of the river occurred in 1951, when commercial outfitter Prince Helfrich floated from Three Forks to Rome utilizing surplus World War II rubber assault rafts. Boating use remained extremely light through the 1950s and 60s. In 1970 the state of Oregon designated the Owyhee River as a State Scenic Waterway. On October 19, 1984, President Reagan signed Public Law 98-494, designating 120 miles of the Owyhee River from the Oregon-Idaho boundary to the Owyhee Reservoir, excluding the Rome Valley from China Gulch to Crooked Creek, as a “Wild River” to be included in the National Wild and Scenic Rivers System. Oh, back to the fur trappers … they didn’t last long. It was the discovery of gold that brought many more people to the Owyhee. As prospectors fanned out throughout the state they eventually found their way into the Owyhee Mountain; a group discovered gold there in 1863. The image shows a portion of William Kittson’s 1825 map noting the Owyhee. (boisestate-edu) In addition, I have added other images in a folder of like name in the Photos section on my Facebook and Google+ pages. The name ‘Sandwich Islands’ stuck, at least for a while; and later foreign, as well as Hawaiian, writers referred to the Islands this way. The first English language newspaper in the islands was named the Sandwich Islands Gazette and Journal of Commerce, published in Honolulu from July, 1836 to July, 1839. Another early Honolulu newspaper was entitled the Sandwich Island Mirror. But the “Sandwich Islands” reference was not limited to foreigner use. Hawaiʻi’s first treaty, signed December 23, 1826 between Hawaiʻi and the United States, notes in Article 1, “The peace and friendship subsisting between the United States, and their Majesties, the Queen Regent, and Kauikeaouli, King of the Sandwich Islands, and their subjects and people, are hereby confirmed, and declared to be perpetual.” Further references to the Sandwich Islands are noted throughout. 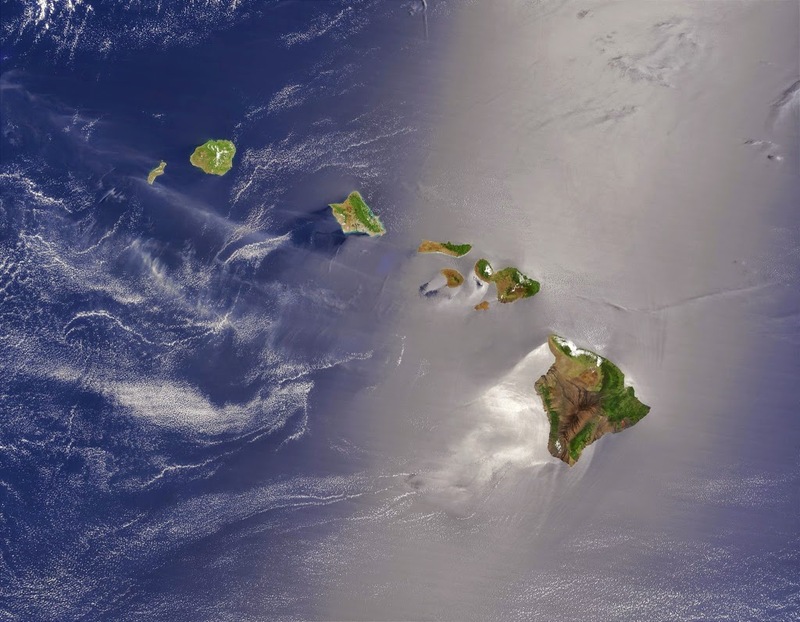 Shortly after, however, was an apparent concerted effort to drop the Sandwich Islands reference, in favor of referring to the islands as the Hawaiian Islands. After a transition period, generally, after that point the Hawaiian Islands label took hold.